How to try Windows Phone on your iPhone or Android Devices? How to find if the Application is returning from Dormant or Tombstoned State in WP7? Are you an Apple iPhone or Android user and wish to try Windows Phone from your mobile device? 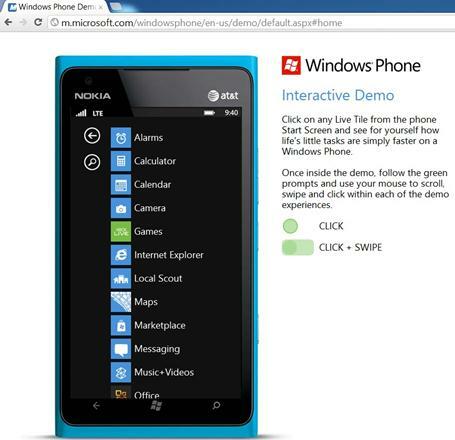 Microsoft has published a demo site where the users can try Windows Phone Metro UI on your Android or iPhone device. The website allows you to try various metro features like Tiles, Windows Phone Metro Start Screen, App Page, Email, Calenter Tiles etc.